Dr. Pickhardt’s primary clinical and research interests are CT colonography and colorectal cancer screening, including virtual colonoscopy. He joined the Abdominal Imaging Section at the University of Wisconsin School of Medicine and Public Health in 2003 as an associate professor of radiology. Prior to that, Dr. Pickhardt organized and served as principal investigator for a large multi-center screening trial evaluating CT colonography (virtual colonoscopy) while at the National Naval Medical Center in Bethesda, Maryland. Dr. Pickhardt also was awarded a Figley Fellowship in the American Journal of Radiology editorial office in Winston-Salem, North Carolina in 2002. 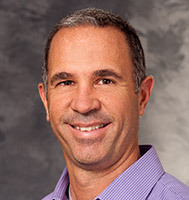 Dr. Pickhardt has been the principal investigator of multiple University of Wisconsin clinical trials studying computerized tomography (CT) and virtual colonoscopy. He has edited a number of textbooks in abdominal radiology. His work has resulted in more than 300 scientific publications and book chapters.